(L-R) Ashneel Nath and Marissa Rivera. A pair accused of several armed robberies at Subway sandwich shops throughout the Bay Area and the Central Valley are also suspects in a San Bruno armed robbery, police said. 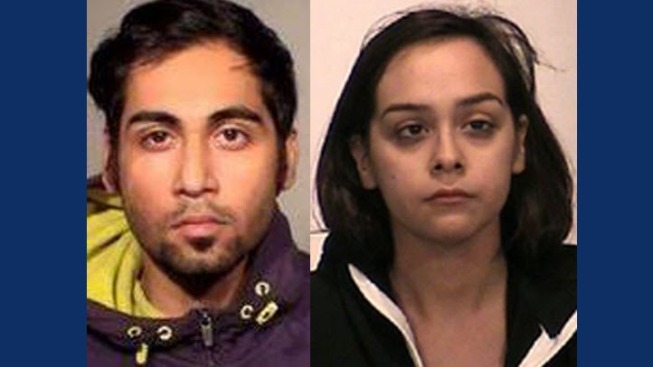 Ashneel Nath, 24, of Modesto and 22-year-old Marissa Rivera also of Modesto are believed to have robbed a Subway restaurant in the San Bruno Towne Center on Jan. 23. Just after 7 p.m. that day, officers responded to the robbery at 1310 El Camino Real. A man with his face covered allegedly entered the store with a gun tucked into his clothing, according to police. The man, police have identified as Nath, allegedly told an employee to give him some cash from the cash register. Nath allegedly left the area in a dark-colored minivan. Police did not say how Rivera was allegedly involved in the robbery. But police said they are working with prosecutors in both counties to have the suspects charged in the San Bruno incident.